In what has been a surprising development to me, Pröwess guitarist Scott Roby and I have been at odds on the characterization of his latest band Pröwess. Roby is adamant that Pröwess are a “new band” and he apparently wants to steer as far away as possible from his former and now defunct band 21st Century Goliath that disbanded back in early March 2016. I have always viewed Pröwess as an extension of 21st Century Goliath, especially since the latter’s last line-up consisting of guitarist Scott Roby, new singer Dalton Bowes, drummer Adam Ellis, guitarist Kip Wilson and bassist Kenny Keeler became Pröwess overnight. I get where Roby is coming from given that by the time of Pröwess‘ formation, he was one of only two remaining members from 21st Century Goliath‘s debut album Radio Destroyer (2012) and apparently only one of two remaining members who contributed to the sophomore effort Back With A Vengeance (2014). In addition, Pröwess are reportedly more of a “band effort” with all members contributing to the writing rather than in 21st Century Goliath where I understand that Roby and to a lesser extent former lead vocalist Tony Leone were the main catalysts behind the songs. That being said, my physical copy of Back With A Vengeance, which I recently purchased a few months ago because I liked it, has four of the five Pröwess band members listed as having played on it. I think where Roby and I really differ is on how we apparently view 21st Century Goliath‘s musical output. Roby has advised me that he feels that Pröwess should not be compared to 21st Century Goliath because the former is a much better band than the latter while I have always held 21st Century Goliath‘s music in high regard and view Pröwess as more or less an extension of that band albeit with a different singer. Hey, everyone’s entitled to their own opinion! So that takes me to Pröwess‘ debut EP Headfirst, which comes a little more than ten months after the band’s formation and more than eight months after the debut of the band’s first video for the track “No Survivors.” As I listen to Headfirst, all of the tracks on it are enjoyable albeit there is nothing that really stands out as a “head above the shoulders” type of song. The mid-tempo pace which was adopted on a lot of songs on 21st Century Goliath‘s last album seems prevalent on Headfirst. My favorite track on Headfirst is “Show Me” which almost feels as if singer Dalton Bowes is laughing while singing a section of the song and which speeds up towards the end. “Killing A Giant” is another good song with “peppier” verses and some strong melodies although I don’t really like the beginning with the music going in the same direction as the “oooh oooh oooh” part like Black Sabbath used to do with the music and Ozzy‘s singing on tracks such as “Iron Man.” I am surprised that “No Survivors” was the first track released by Pröwess because I consider it the weakest track on Headfirst. Perhaps, the other songs weren’t ready back in March 2016 when “No Survivors” was released. “No Survivors” starts off strongly but the culminating chorus portion is underwhelming when you hear the band sing “No Survivors,” the slowed down section right after the guitar solo could have easily been edited out and the background vocals towards the end sound weak. “Shaker” seems to have similar issues as “No Survivors” with an underwhelming chorus section and sometimes weak background vocals. 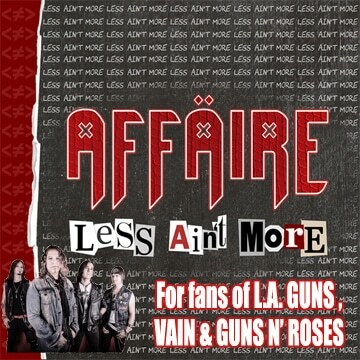 One guitar section in particular of “Shaker” reminds me a lot of Fly On The Wall era AC/DC. “Overboard” closes off Headfirst and boasts a cool guitar solo but yet another underwhelming chorus section and weak background vocals. 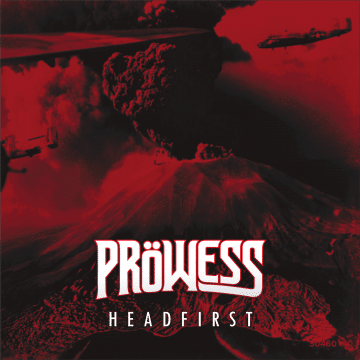 Overall, Pröwess‘ Headfirst EP has decent songs although none of the tracks really stand out for me. I don’t usually mention an album cover’s artwork but I really like the cover for Headfirst. The background colours are simple with the black and red yet it looks like World War III behind the group’s name and album title. 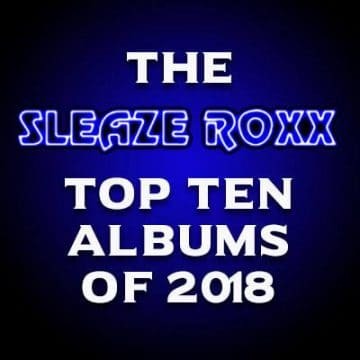 With so much music making its way through to the Sleaze Roxx headquarters, the main question for any album is whether I will be listening to it on a regular basis or even returning to it going forward and in Headfirst‘s case, the answer is probably not. Pröwess is a brand new rock and roll band from Charlotte, NC launched in 2016. This is the official video for their debut single “No Survivors” which was produced by Jamie King [Between the Buried & Me, He Is Legend]. 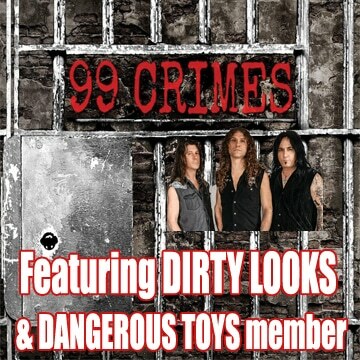 Filmed and directed by Wheelhouse Media.